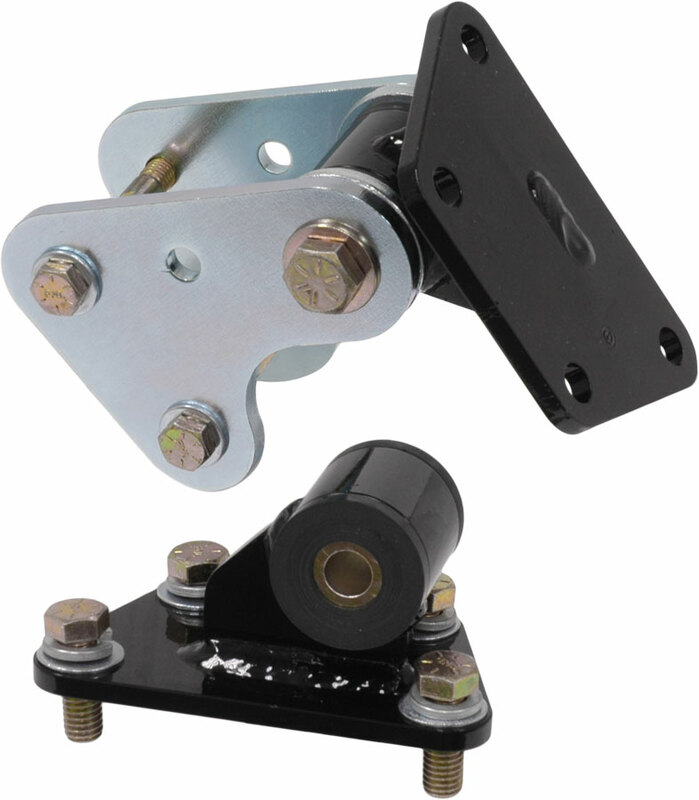 Our poly-urethane bushed motor mount assemblies provide a high performance, direct replacement alternative to bonded rubber factory mounts. A unique, double-shear, through-bolt design eliminates any chance of motor mount separation during normal use. The mount features graphite impregnated poly-urethane bushings with seamless internal sleeve and external housing. Transferred vibration is increased over factory levels but without the harshness commonly found using completely solid mounts. The welded assembly features 3/8 thick motor plates with seamless tubing bushing housing. 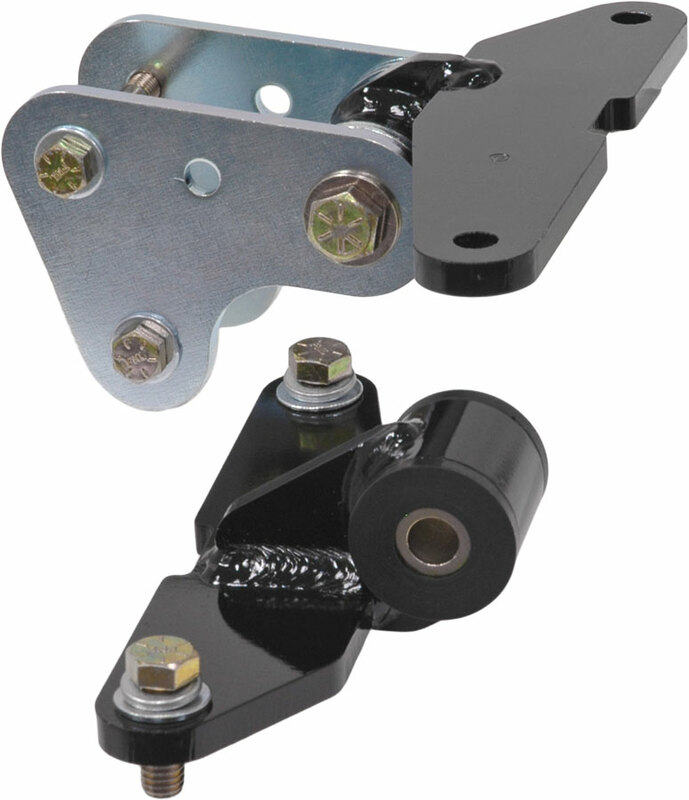 Frame adapter plates are 1/4 thick with slotted motor mount holes to make allowance for chassis variances and simplify installation. All mounting hardware is grade 8 and included. Slotted adjustment with 3" range of fore-aft movement aides in resolving clearance issue with headers, transmission, fans, or steering shaft. 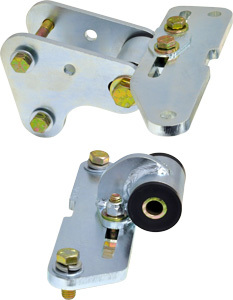 Two 1/4" shims allow fore-aft adjustment of the engine.